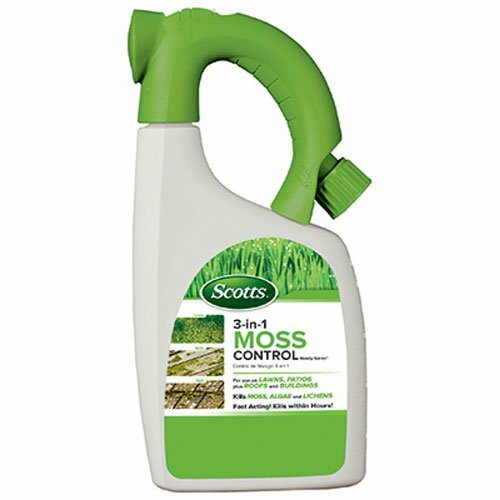 The fast-acting Scotts 3-in-1 Moss Control Ready-Spray kills moss, algae, and lichens within hours. It can be used on lawns, patios, roofs, and buildings. You won’t have to worry about it staining your concrete or other surfaces. Simply attach to a garden hose and spray.